This is my latest design of the CPU REGISTERS - a SLICE. This one shown here is a prototype and will be used for bit 0 (after debugging). And I found a couple. 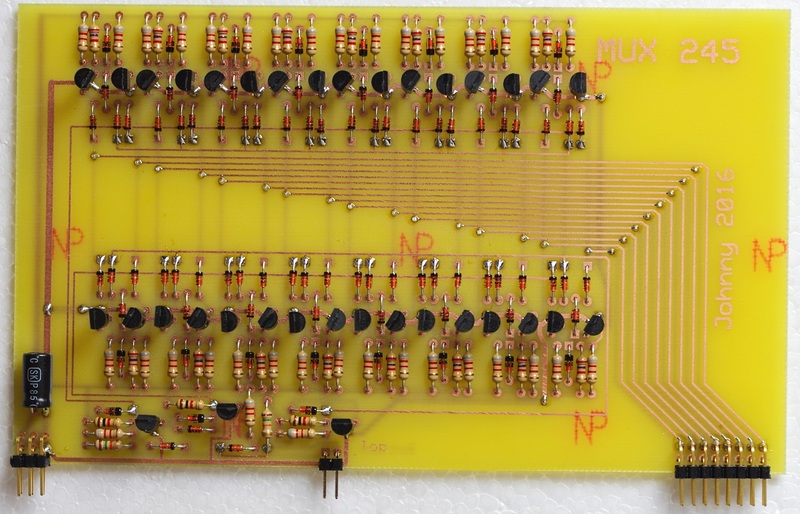 16 of these boards, plus 4 more ones for MUX-ing and 3-State buffering, is all there is to build the 8080 registers. Update Jun 18, 2016 - All 16 register slices has been soldered and is up and running. 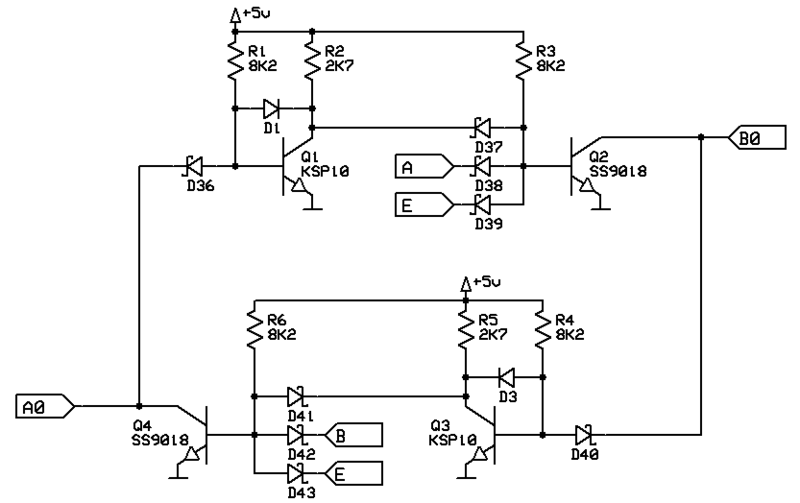 BC, DE, HL, PC, DE (PC and SP use a 3-input GATE (Q4) for RESET. Not shown here. 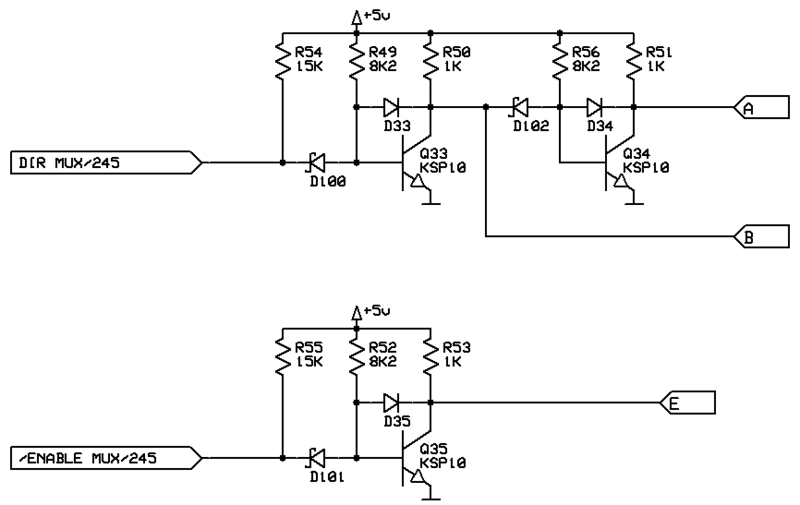 The MUX is fairly simple, just as in the 74LS245 there is 2 crossing gates with some control logic. 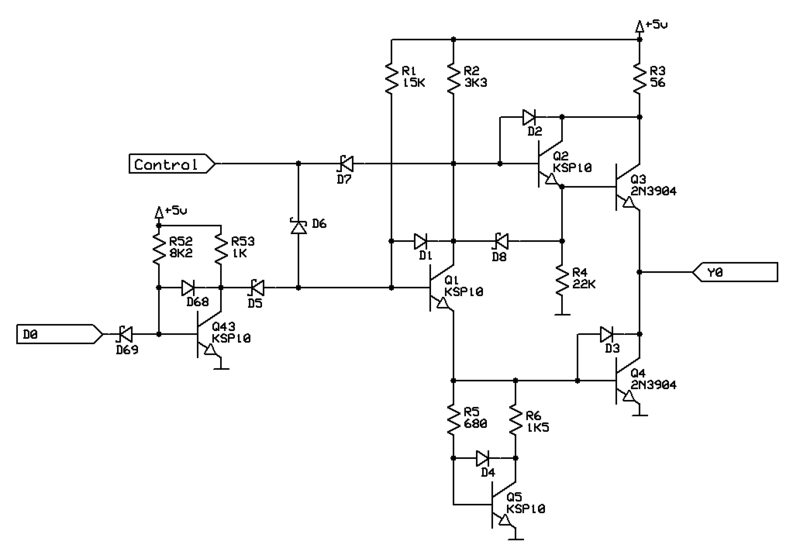 My 3-State buffer is based on 74LS366/368. 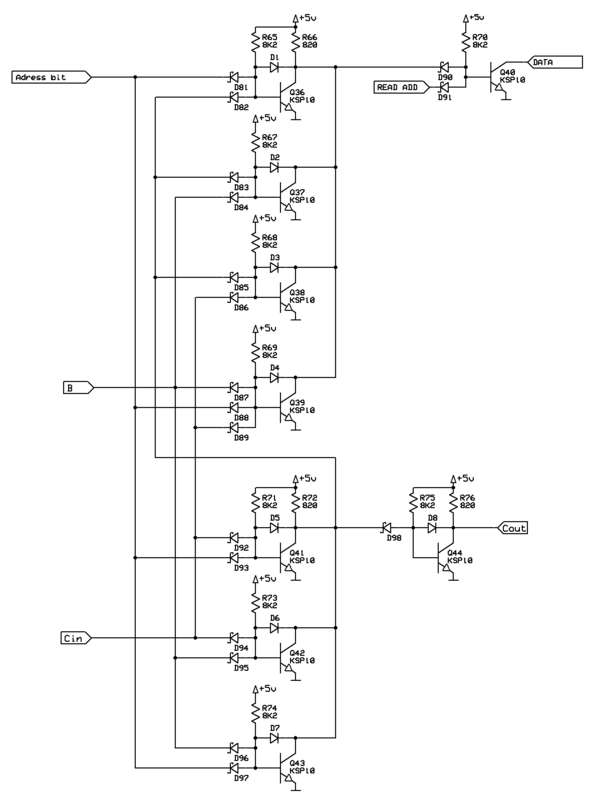 Some component values is different (not by much) and the control logic is merley a single NOT gate (not shown here). As long as CONTROL is HIGH the output i active. Pull it LOW and the output goes into 3-State. 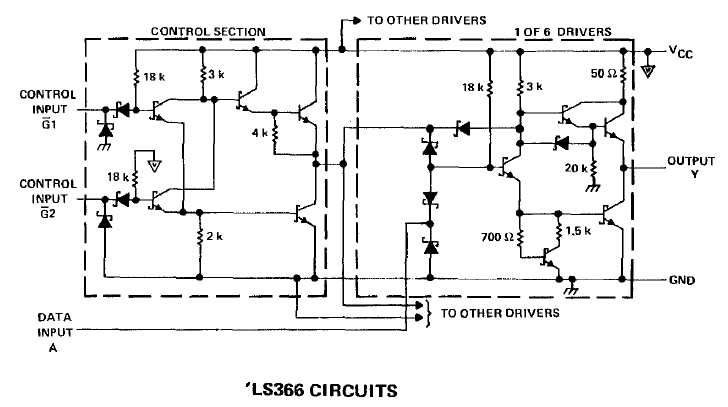 The 74LS366 is an inverting buffer. 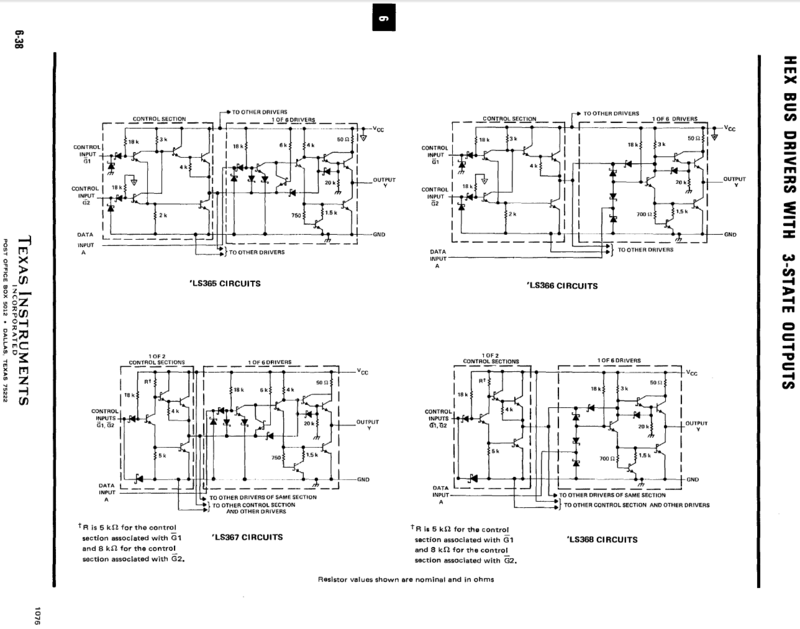 I don't want that so I have put in an inverter (Q43 in the schematic below) to compensate. At the time, it was easier than to bredboard the 74LS365 (non inverting).